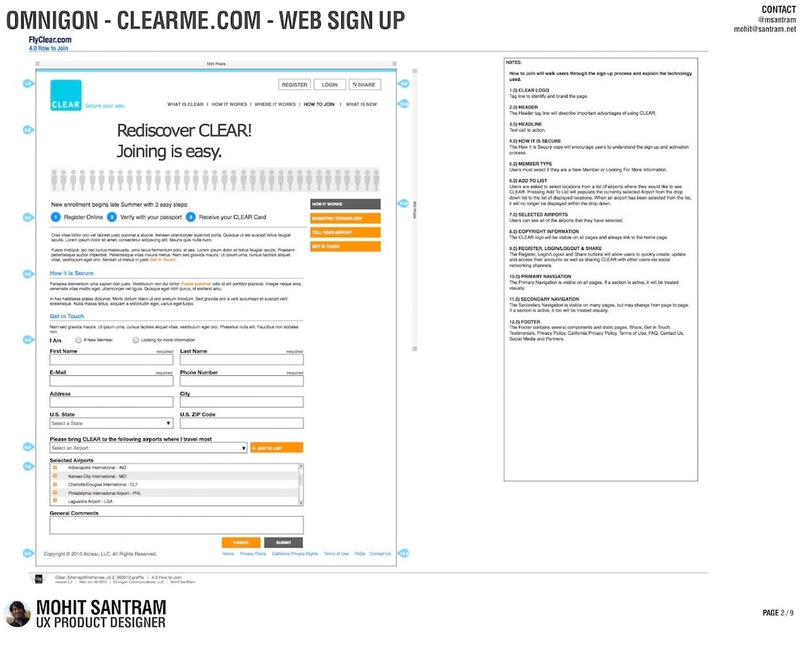 Clear had recently been relaunched after coming out of Chapter 11 Bankruptcy. 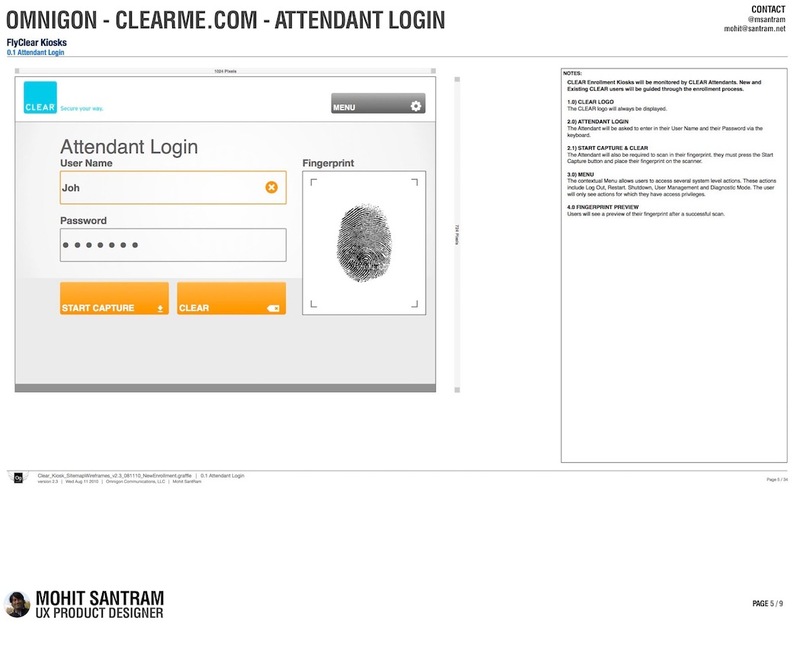 As a member of the Omnigon team, we collaborated with the new Clear management team to redesign of the CLEAR web, mobile, and kiosk Experiences. Relaunching a initially unsuccessful service can be a distinct challenge. How do you avoid making the same mistakes that were made by the previous team? We started with analyzing the problem that new management was trying to solve. 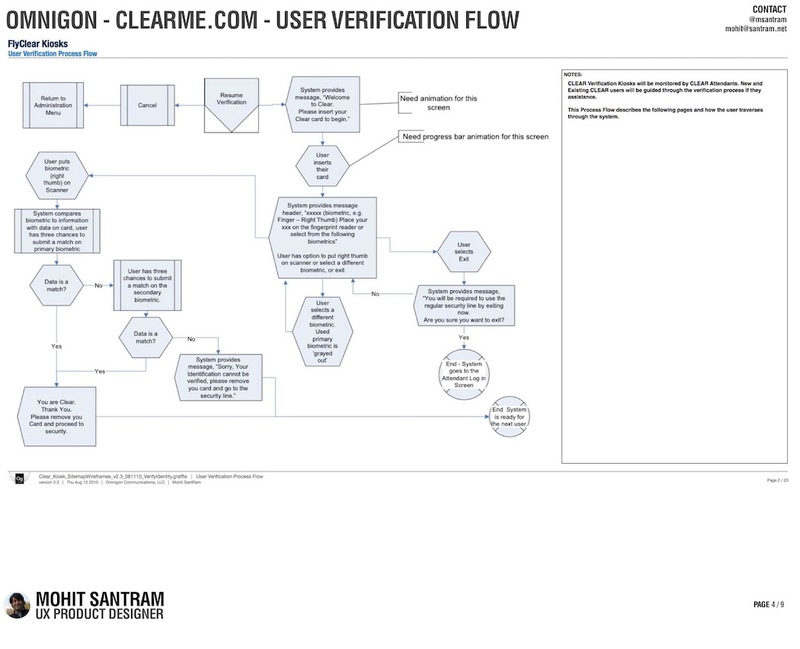 Working in conjunction with Clear team, we poured over where the service broke down, where end users, technicians, and Clear program managers were experiencing pain points. Our goal was to build the service better than before, win the trust of all previous and new potential customers, and investors. We had a heavy task. Our goal was to help Clear’s new management team build a solid product and strong overall experience that would not only win back the trust of initial customers, but new ones. We were tasked with designing and building the overall user interface and experience from the ground up for the desktop, mobile, and kiosks. 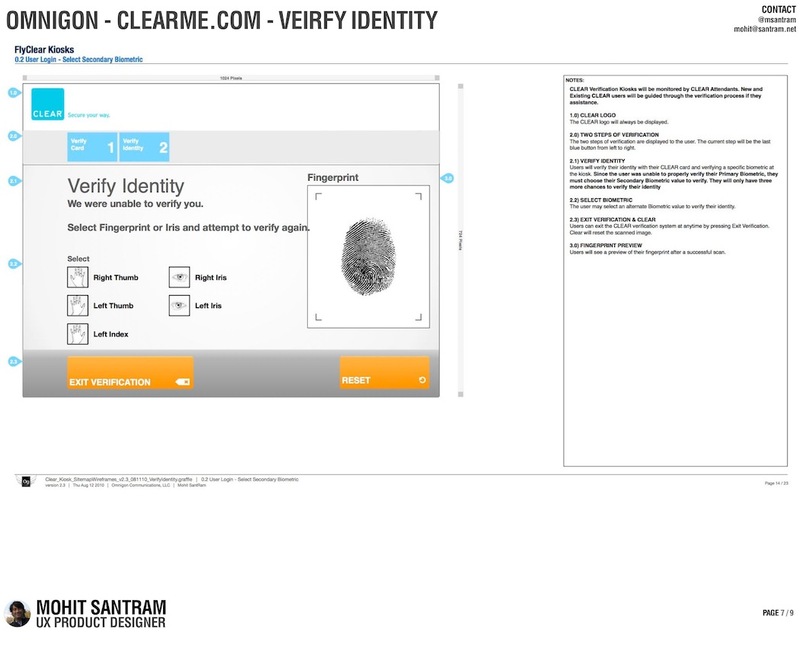 Each medium needed to allow one of four different user types to access, administer, add, delete, and approve sensitive personal data. Working with our Design Director, we created user profiles, scenarios, user flows, wireframes, and design comps. 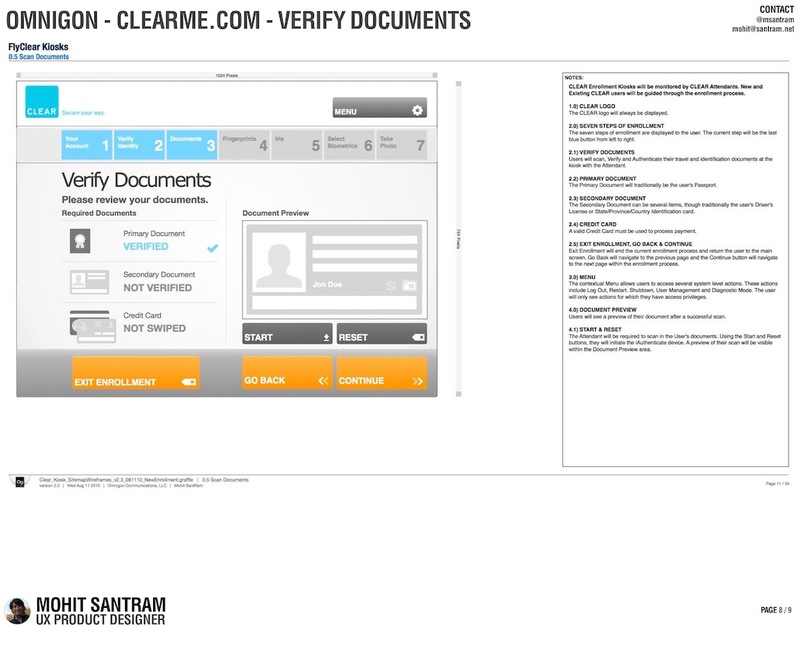 Once we had approval, I set about creating high fidelity wireframes for the web, mobile, and kiosk experience for each user type. 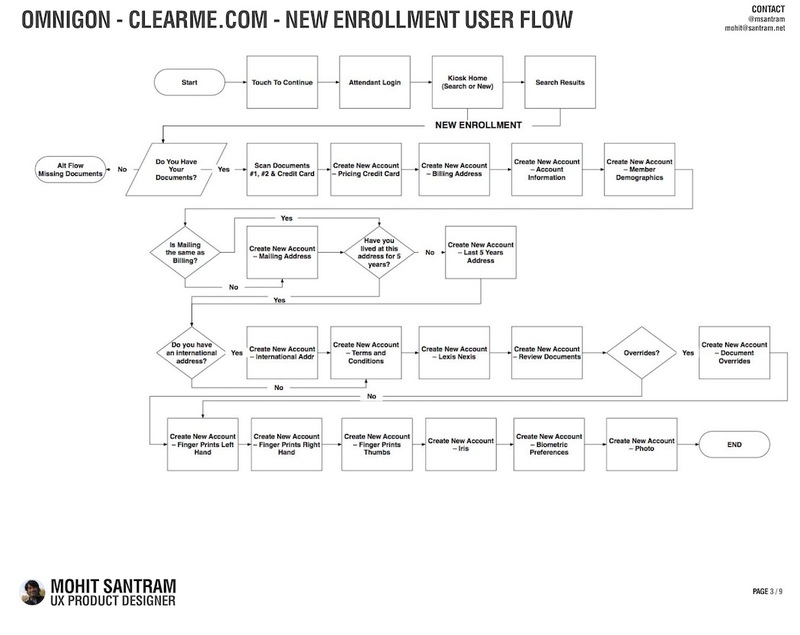 My role as Senior IA & UX Designer was to help guide the client through the analysis, concept, design, wire framing, and testing phases of the redesign process. Along with developing the online experience, we also designed the kiosk hardware. Picking up queues from the NYC MetroCard station andf effective kiosks like the JetBlue terminal, we designed and built custom kiosks that were deployed in each of our launch airports. This was a massive project from start to finish. Since Clear has relaunched in 2010, the service has expanded to nine airports across the United States. There is much work for the team to accomplish, but the strong foundation we laid together will help the team become even more successful. With CLEAR you can enjoy travel again. 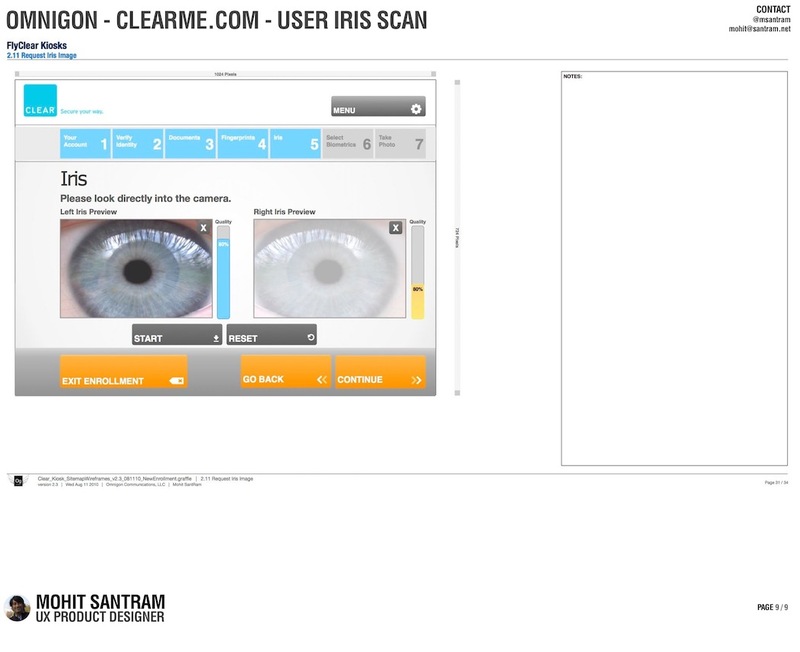 CLEAR is the fastest and most predictable way to get through airport security. Being a CLEAR member means you can breeze right past the long lines and go straight to screening. 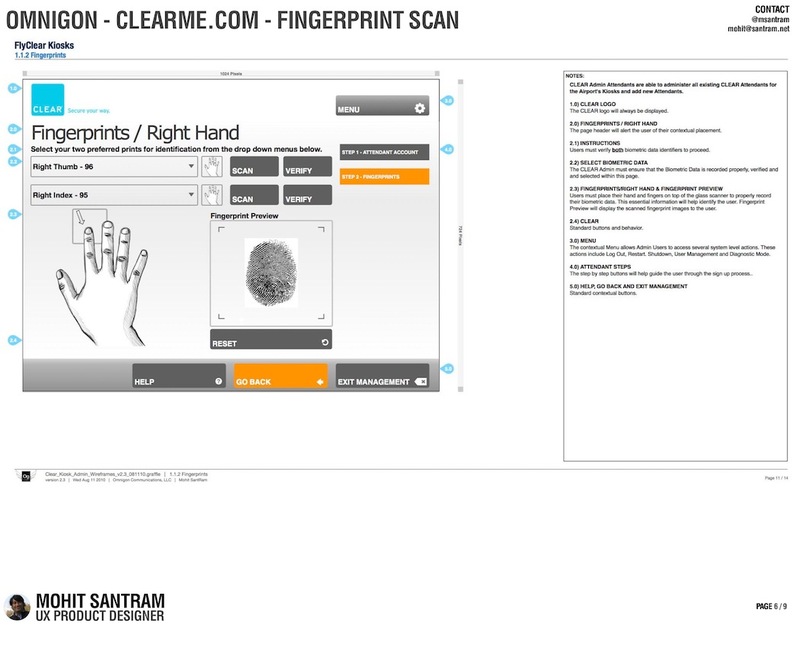 Use your biometric CLEARcard at the exclusive CLEARlane to bypass long security waits. The following screens highlight one of the more enjoyable aspects of this project, the kiosk software workflow for our custom built hardware. Please Note: These work samples are not for distribution.